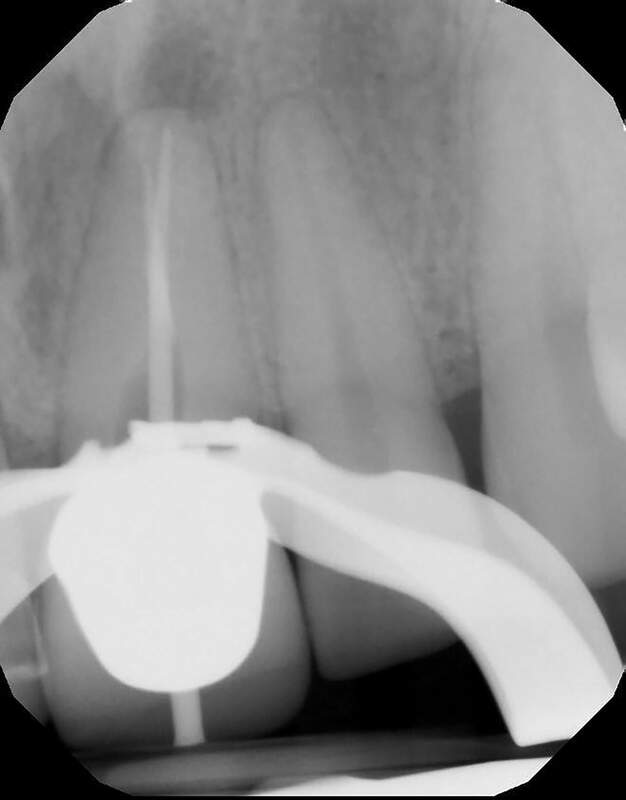 Fun retreatment. 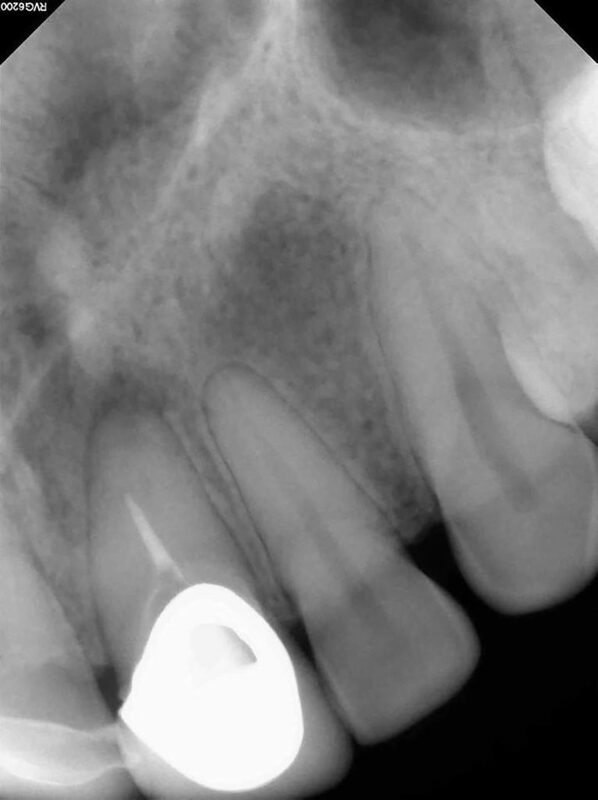 Patient had RCT on 9, which was retreated by another endodontist 5 years ago. 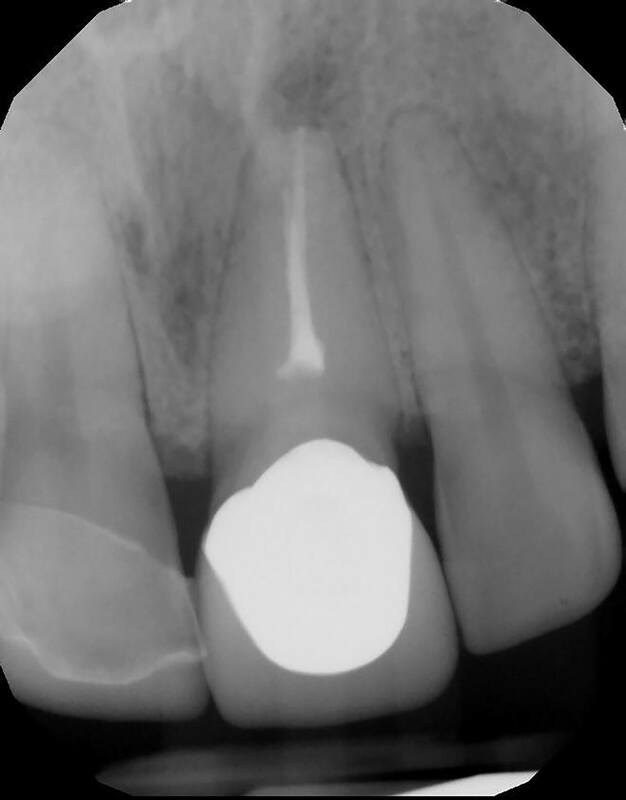 Patient developed pain and swelling in the area. 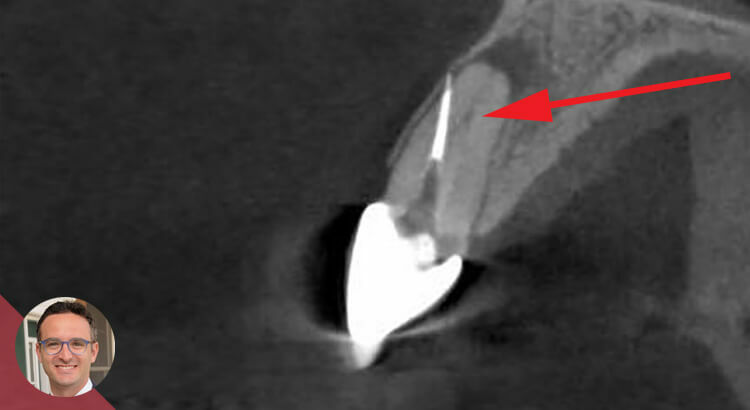 CBCT revealed a transported canal with a perforation. 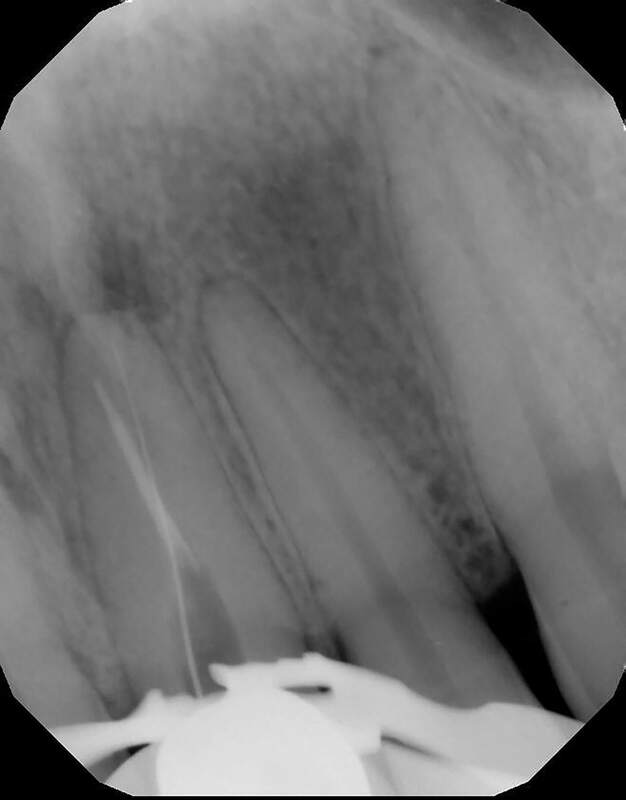 I was able to locate the canal and hopefully save the tooth! 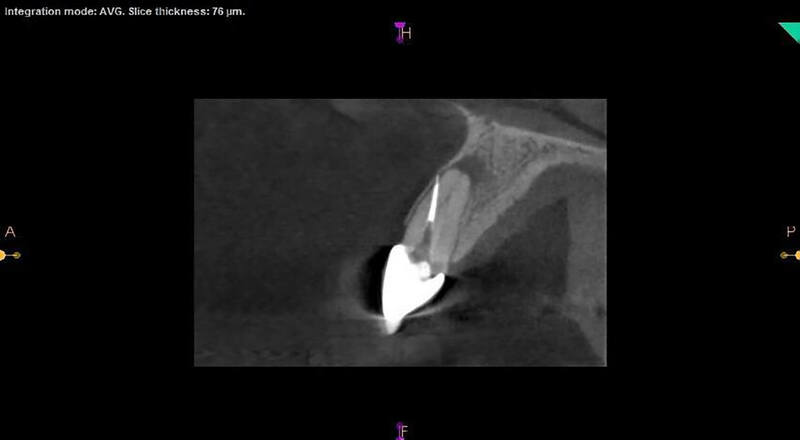 CBCT showing missed anatomy. Sagittal slice.